Voters in three more Michigan cities approved ballot questions Tuesday decriminalizing small amounts of marijuana. Ballot proposals in Lansing, Jackson and Ferndale each passed with more than 60 percent of the vote. Supporters say, if Michigan’s legislature doesn’t act to decriminalize small amounts of marijuana, a statewide referendum might be their next step. 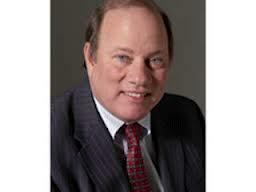 Former Detroit Medical Center CEO Mike Duggan is the new mayor-elect of Detroit. Duggan defeated Wayne County Sheriff Benny Napoleon with about 55 percent of the vote. Duggan coasted to victory despite being a Detroit resident for just over a year, and getting tossed off the primary ballot. He is stepping to the forefront after decades spent behind the scenes in Detroit politics. Duggan says he’ll spend these next transition weeks building relationships with key players: emergency manager Kevyn Orr and the Detroit City Council. School districts outside of Leelanau County had a tough time with voters yesterday. Voters in Traverse City, Kalkaska, and Elk Rapids rejected bond proposals to repair and renovate school buildings and other facilities. Unofficial results show very narrow margins. In Traverse City the main request to borrow $35 million failed by about one percent of the vote. In Kalkaska, less than 30 votes out of more than 1,000 tipped the difference against the request.